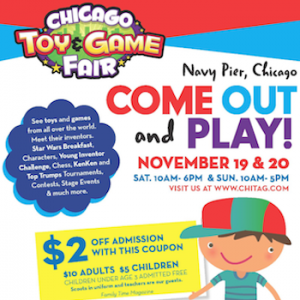 ChiTAG is just about here for another year and we can't wait. ChiIL Mama will have a photo filled recap after Saturday. We're starting with a press preview and blogger brunch with Razor, so we'll have some exciting new product launch news forthcoming. My kids are both inseparable from their Razor scooters. 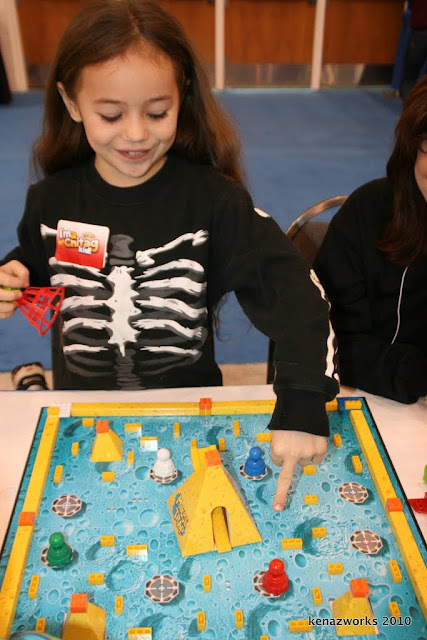 Then the blogger kids are going on a scavenger hunt and making a crafty creation with game inventor, Peggy Brown. We met Peggy earlier this year at Marbles: The Brain Store's holiday toy press preview and she is a hoot! We'll have the full scoop on Marbles holiday exclusives and originals soon soon soon. In the mean time, check out our video interview with Lindsay Gaskins, Marbles founder and CEO. She'll also be at ChiTAG speaking to and about women in the toy industry. ChiIL Mama interviews Lindsay Gaskins, CEO of Marbles: The Brain Store from ChiIL Mama on Vimeo. Check out our earlier ChiTAG post for all the show specifics & free pass entry form. We have 1 more FULL FAMILY/All Weekend Pass for 1 lucky winner this Friday at noon. For more information, check out the ChiTAG site right here. Then come on out and play. ChiTAG--You're it! 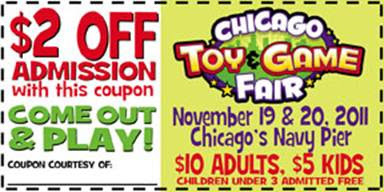 You can bring your whole family to the whole weekend of ChiTAG. We'll send your special pass via e-mail so make sure it's not stuck in a spam filter. Enjoy!